Popular YouTube vlogger Zoella has come under fire after selling her branded Christmas advent calendar – which has 12 windows instead of the usual 25 – for £50. Christmas is a pricey time of year for anyone, let alone if you’re a parent and kiddy expectations are high. 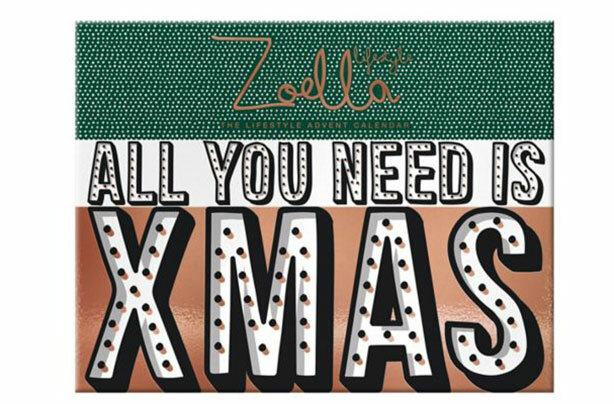 Prolific and highly-influential fashion and beauty vlogger Zoella, who has a massive following of pre-teens and teens, recently released a self-branded £50 12 days of Christmas advent calendar, which is on sale in Boots. Instead of your usual calendar, which starts on December 1 and counts you down to the 25th, the Zoella calendar starts on Christmas day and takes you to January 5th. For £50, you get a notebook, pen (in different windows), stickers, a pencil case, two miniature candles, two cookie cutters, a room spray and some confetti, a furry pom-pom keyring and a tree decoration. However, the festive advent calendar is not going down well with some parents, who are claiming the product is overpriced. So far it’s had over 100 one star reviews on the Boots website, with many parents warning others not to buy it and dubbing it ‘a waste of money’. One reviewer wrote: “I could literally buy all of this online for £4 [the calendar] was expensive price and cheap quality”. Criticism also came from one of Zoella’s fellow vloggers, Jack Maate, who took to Twitter to share a ‘brutal and honest review’ of the calendar. Many of his followers agreed with his review, saying that you could buy all the products inside the calendar for a lot less money.”Literally spent 5 minutes on ebay and managed to recreate the whole calendar for under £20″, one said. “idk [I don’t know] how she’s sleeping at night knowing she’s charging people who are out there working this kind of money”, complained another follower. Following the criticism on social media, a spokesperson for Zoella Lifestyle told Mirror Online: “Zoe is incredibly proud of the Christmas collection and excited to see it in store. What do you think? Is this massively overpriced? Let us know in the comments box below. FROM: GoodToKnow, our sister site. Written by Stephanie Lowe.